The Invoke-VMScript cmdlet is definitely one of the PowerCLI cmdlets that is indispensable when you need to do things inside the Guest OS of your VMs. When you are interacting with a Windows based Guest OS you can run old-fashioned BAT files or use PowerShell scripts. When the Guest OS is Linux based, you currently only can run Bash scripts. Most Linux flavours have a feature that is called SheBang, and which allows you to specify in the first line of your bash script, which interpreter shall be used to run the following lines of the script. Unfortunately, the current Invoke-VMScript cmdlet doesn’t allow one to use that feature. Time to tackle that issue, and expand the possibilities for all VMs that have a Linux-based Guest OS. So I decided to write my Invoke-VMScriptPlus function. It is no secret that PowerCLI has lots of amazing options and well-thought trough features. But there is one feature that most of PowerCLI’s users take for granted, and most probably do not even realise that they are using what is called Object By Name or OBN. In this post I’ll show you one way of creating your own OBN, a home made Object By Name, which you can use in your own functions and modules. OBN allows you to refer to a PowerCLI object by name, instead of passing an actual PowerCLI object. 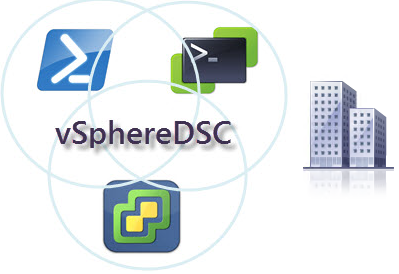 A classic example is “Get-VM -Datastore DS1“, where we are retrieving all VMs that live on a specific datastore. If one looks at the description of the Datastore parameter, it clearly states that a value of type StorageResource is expected, but we are able to provide the datastorename, a string. Under the cover, PowerCLI converts this string to the required PowerCLI object for the parameter. When we are writing our own functions, it would be very handy to have the same functionality at our disposal. Define a parameter to be of the type of a PowerCLI object, but then be able to pass the name of the object, instead of the object itself. The solution is here, with the MyOBN attribute. We now have the same functionality available, that was until now only available for PowerCLI cmdlets. 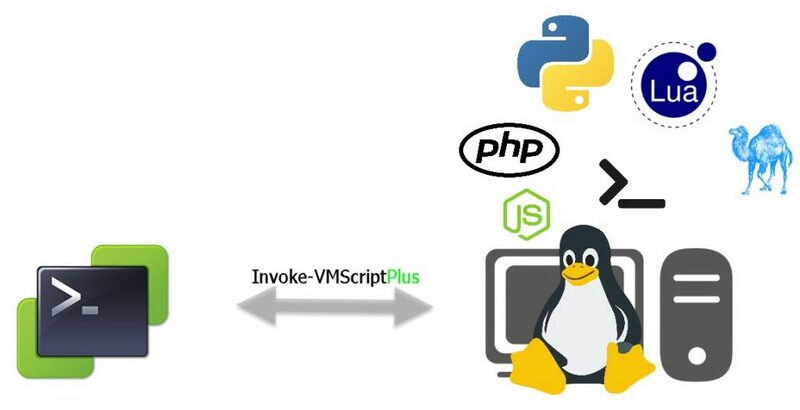 Yesterday a blog post, named Integration with VMware vSphere using the new Open Sourced Software Development Kits, was published. In my opinion an important milestone on VMware’s Open Source path ! The blog post announced the availability of the first two Open Sourced SDKs made available to the public on GitHub. One for REST and the other for Python. When we hear REST API, we know it is relatively easy to consume these from a PowerShell script. So power up your labs and follow along on my first steps in my vSphere Audtomation SDK and PowerShell adventure. Each appliance, delivered as an OVA or OVF, can have one or more properties attached to it. These properties are mostly used to configure the appliance. In PowerCLI we have the Get-OvfConfiguration cmdlet. It returns the user configurable properties from an OVF or OVA file in a hash table. But what about upgrading an appliance? 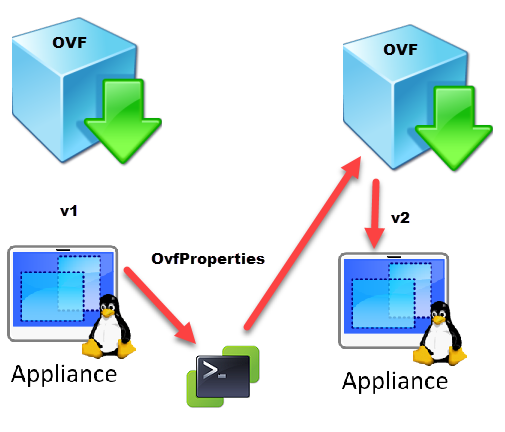 Most, if not all, of the Ovf Properties are already entered for the older version of the appliance. Can’t we use that information to upgrade the appliance? And avoid having to retype all that information? And to take away the suspense, of course, that can be done with a bit of PowerShell! One of the lesser used PowerCLI cmdlets must be the Get-EsxTop cmdlet. It’s not that the Get-EsxTop cmdlet is not very useful, on the contrary. In my opinion, the main reason for it’s infrequent use might be the complexity involved to actually use the data it returns. Add to that a somewhat lacking documentation, and the Ugly Duckling of the PowerCLI cmdlets is born. But just like in the story, this cmdlet has the potential to grow up, and transform into a beautiful swan. I already did some Get-EsxTop posts in the past, see Hitchhiker’s Guide to Get-EsxTop – Part 1 and Hitchhiker’s Guide to Get-EsxTop – Part 2 – The wrapper. 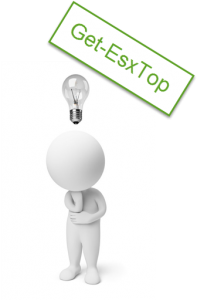 But a recent thread in the VMTN PowerCLI Community made me rethink how the Get-EsxTop cmdlet could be put to better use. The author of the thread wanted to compare the results returned by Get-EsxTop with the data displayed in esxtop. He also compared the calculated Get-EsxTop metrics with those returned by the Get-Stat cmdlet, and there were some serious discrepancies! In my Orphaned files and folders – Spring cleaning post from way back, I provided a script to find orphaned VMDKs. 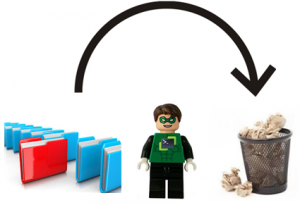 This week there was a post in the VMTN PowerCLI Community that had a request to find all orphaned files. Time for a revisit of my old post! I took my old script, massaged it a bit and gave it a more contemporary look and feel. 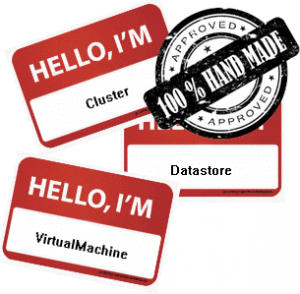 We all know, and love, PowerCLI‘s New-Datastore and Set-Datastore cmdlets to create and manipulate VMFS datastores. But when we look at the functionality available through the Web Client, there is one interesting feature for manipulating VMFS datastores that is missing from the PowerCLI cmdlets. The Increase button, which allows us to Expand or Extend an existing VMFS datastore*. Recently there were a couple of threads on this subject in the VMTN PowerCLI Community, so I decided to streamline my quick-and-dirty scripts into something more presentable, and create a PowerShell module to bundle the functions. I present the VMFSIncrease module! The VMFSIncrease module will also be my first contribution to the PowerCLI Community Repository! More on that further on in this post. The “Principles of Operation” in the title is in fact just an expensive expression for “How do I use this stuff ?”. In this post I will try to show you how you can use the vSphereDSC module, as a user, and as a contributing developer. On the side, it also shows you how you can use these vSphereDSC resources. 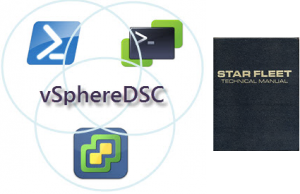 The vSphereDSC module contains a set of DSC resources to can be used to configure a vSphere environment. 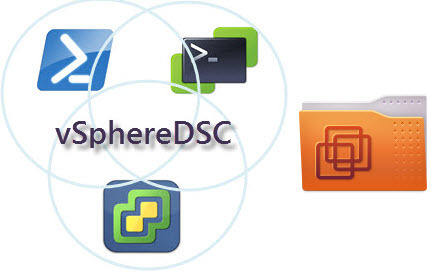 These DSC resources can be used against any vSphere Server, beit a vCenter or an ESXi node. On the condition of course that the selected resource is supported on the vSphere Server. For “users” of the vSphereDSC resources, the post will show how to automate keeping the module up to date and how to manage the life cycle of the Configuration files that are build on the vSphereDSC resources. For those of you that want to contribute to the development of the vSphereDSC module and it’s resources, this post will also show how you can automate the testing phase. In a first instance through a number of PowerShell scripts, in a later phase through the use of a build server. A Datacenter can only be created in a limited number of locations in a vSphere tree. You can create them in the RootFolder, or in a Yellow folder, but you can not “nest” Datacenters. The new vSphereDSC module release contains some sample Configurations for creating and removing Datacenters.